Many people visiting the Algarve miss the opportunity to explore the treasures of Faro. The capital of the Algarve, takes its name Faro, Pharaoh or Farobank from a late 17th Century French gambling card game. 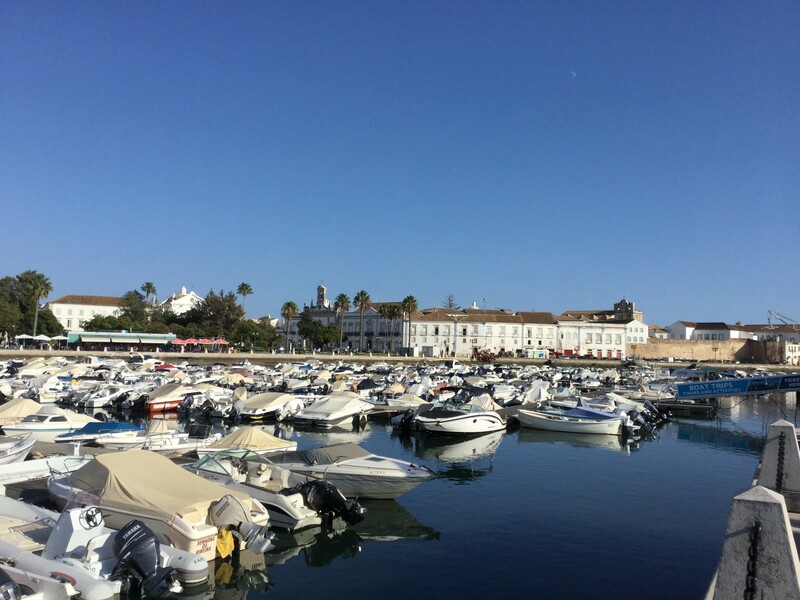 With wonderful little restaurants dotted around the town centre and along the marina, we discovered that there’s much more to this historic location than just the Algarve airport. From the marina you can take boat trips to all the surrounding islands all the way down to the coast line where you might even catch sight of some of the dolphin population. Now for a little Faro history … during the Moorish occupation in the 11th Century, Faro became a cultured walled capital. In the 15th Century the city came under Spanish rule until the Earl of Essex, whilst en route to England from Spain plundered the city, burned it and carried off many priceless theological works from the Bishop’s palace. After being rebuilt it was then unfortunately hit by two earthquakes but the historic centre largely survived, as it was luckily protected by the sandy banks of a natural lagoon – the stunning Ria Formosa. The old part of the city is very attractive and is still surrounded by the Roman walls that date back to the 9th Century where you can visit an unusual attraction -the Chapel of Bones (Capella de Ossos). There is also an abundance of well-manicured parks and plazas, museums, and lively nightlife whilst in the old town you can enjoy traditional Portuguese cuisine and customs at the many outdoor cafes and restaurants. There’s also several markets you can explore during your visit including- TrocAqui -the exchange market which is held on the first Sunday of every month from 10am to 1pm at the Municipal Market. Whist the Crafts and Collectables Market is held on the second Sunday of every month from 10am to 4pm next to the Municipal Theatre, as well as the produce and fish markets which are open daily near the bus station. 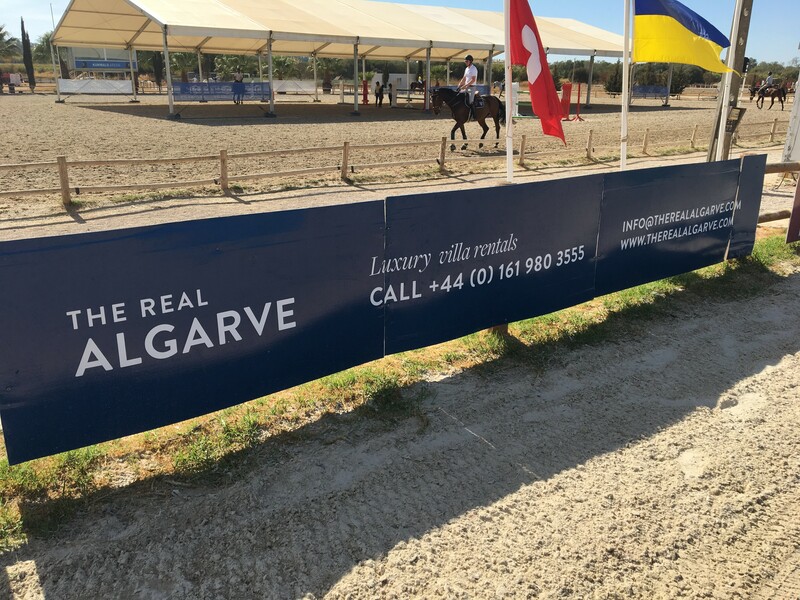 More recent news from The Real Algarve – we were very proud to sponsor the recent Vilamoura Champions Tour International Show Jumping Competition. This illustrious event attracts many visitors from more than 30 countries and has stabling for over 900 horses. This year Laura Renwick and Emma Stoker both British riders, won a Grand Prix class. The Portuguese Masters Golf Tournament was also held last month at the Dom Pedro Victoria Golf Course, where top golfing stars entertain a crowd of 40,000 plus attending the event. The course is an 18 -hole par, 72 championship layout and this year’s winner was Danish golfer Lucas Bjerregaard. If you’re lucky enough to be on the Algarve, enjoying the warm weather in the next few weeks, then why not visit the Algarve Classic Festival. Held at the Autodromo do Algarve, Portimao on 27-29th October, this is the largest and most important event for historic and classic cars in Southern Europe. Keep up to date with our blogs and latest news from The Real Algarve, and don’t forget to share your experiences with us on Facebook and Instagram!